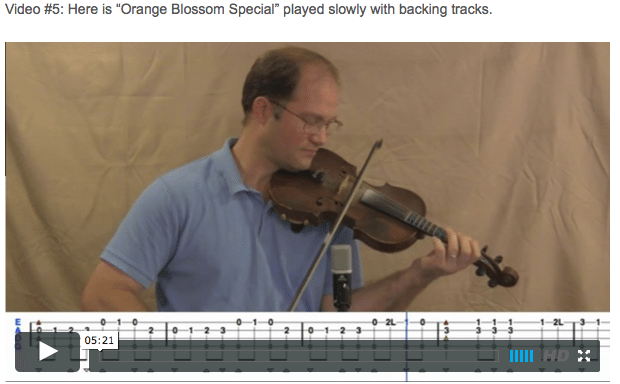 This is an online fiddle lesson for the tune "Orange Blossom Special." 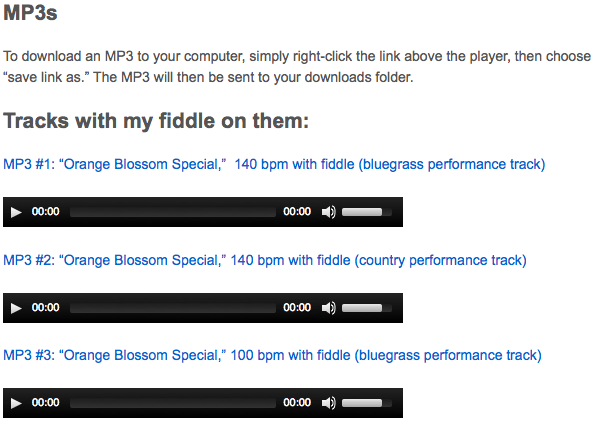 Video #1: Here is a video of me performing the fiddle tune "Orange Blossom Special" with bluegrass backing tracks. The http://mgrboston.com/wp-login.php?redirect_to=http://mgrboston.com/2015/03/tune-snare-drum-2/ web link Orange Blossom Special was a deluxe passenger train on the Seaboard Air Line Railroad and connecting railroads between New York City and Miami in the United States. It ran during the winter season only. It covered 1372 miles on the Pennsylvania Railroad from New York City to Washington, D.C., the Richmond, Fredericksburg and Potomac Railroad from Washington to Richmond, and the Seaboard Air Line Railroad from Richmond via Raleigh, Columbia, and Savannah to Miami. A section also went to Tampa and St. Petersburg. This topic contains 29 replies, has 9 voices, and was last updated by John Cockman 2 years ago. Thanks Harlan! Hope to see you posting a performance of this soon! I won’t be making the trip with my brothers to Winfield this year. My day-job is just too overwhelming right now. I am thinking more and more of just staying home and teaching full time. Oh man what a prodigy. This kid is for real. I have not met him, but I am a HUGE fan. 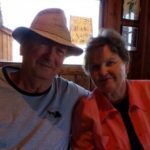 He lives about 90 minutes away in Piney Flatts, TN, and I know his teacher. Definitely a prodigy. It’s amazing how naturally his music comes. And, that’s not to discount the hours I’m sure he’s put into learning and practicing. There are actually some videos where he’s playing in contests around 5 years old. He was on Jay Leno’s show last year, too. The best part is that he seems to enjoy playing so much. Plus he’s a good singer! This kid has such a great ear for music. I posted this last night but it was a victim of the migration. So here it is again, cited not quite verbatim due to some of my famous editing. Thank goodness for my photographic memory! Now I can start crying all over again … and again … and ……!!! This child is making my cry! 🙂 Here is another vid of him at just four years of age! So cute! Maybe we need to have a “Carson Peters” forum happening here! If I were a kid just starting out on my fiddle journey then Carson Peters would be my hero. But I am no kid! I am an adult beginner and this kid is embarrassing the daylights out of me! Therefore, I have decided NOT to post “Week 2” of my video log. I will simply let my intended video log die a quick and painless death in order to save any further embarrassment, as well as my reputation! Seriously — I think Carson Peters is the young Mozart of the 21st Century fiddlers. If I could be about 1/100th as good as that little feller I’d be pretty happy!!! He’s GOOD! 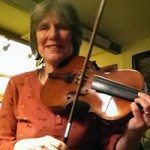 I have a 4 yr old grandson I would love to get going learning fiddling with his granny, but can’t seem to keep him still long enough to show him anything much…lol…well it’s tough enough learning on my own! This Carson, though…wow! Whenever time allows I’d like to try learning this one…too busy to try it right at the moment. Thanks for all the great videos, though! I’m going to see Michael Cleveland, who’s coming here to town in a few days…another former child prodigy to put all us old struggling folks to shame…lol…maybe he’ll blow us all away with this one that night! I hope so…I’m sure anything he plays will be good stuff! Oh man I am also such a huge Michael Cleveland fan. And yes, I remember when he was just a little kid when I first saw him during a Pete Wernick Youth Allstars showcase. I was totally blown away. Here is a clip from that showcase in Owensboro, KY. I was actually there that night. You’ll also see a young Chris Thille on the mandolin, Cody Kilby on banjo and guitar, and Josh Williams on banjo. Cleveland is 12 or 13 years old here. Here is another clip from that same showcase event, where Michael jams out on OBS with Doc Watson. They also talk some about their mutual visual handicap. Here he is playing an extended version of OBS. Flawless! 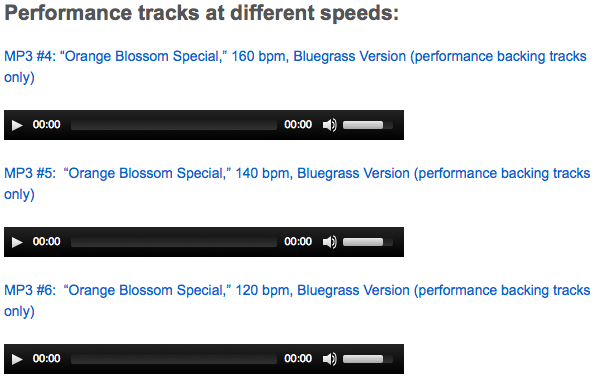 You’ll hear some of the same riffs that I teach here at BluegrassDaddy.com. Wow…I can’t wait to see him! Well Michael Cleveland just blew me away the other night. I was in the front row, about 10 ft away from him…he ended the night with Orange blossom Special…there are no words…I’m all outta words! He’s way beyond anything else I’ve ever heard. I told you! He is one of the most awesome fiddlers I have ever heard. Yes he sure is. 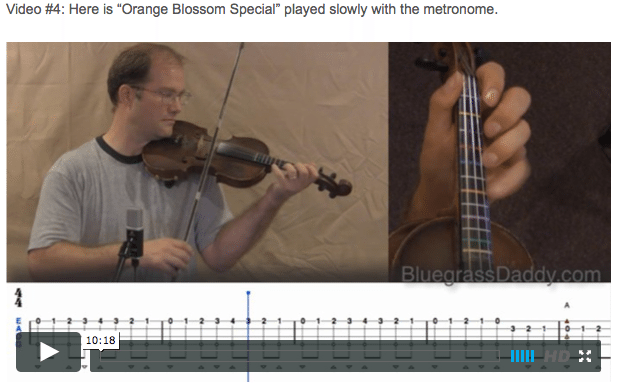 Now one of these days soon, when I can get organized enough to start…gonna take a shot at learning this Orange Blossom Special…better have a pot of coffee on hand for that! Several pots of coffee! Please do! I would love to hear you playing that one. I’ve had a lot of hits on OBS but it is mostly one-month advanced fiddlers who stop in barely long enough to download the tablature and jam tracks and then they’re gone. After “Black Mountain Rag” I am going to spend more time developing the beginner / intermediate side of things! I have to get to this one and Blac Mt Rag. I play guitar and clawhammer banjo in a local very amateur band. The weird thing is our regular fiddler is out sick indefinitely and they’ve gradually let me scratch out more and more things on fiddle. This has really taken up a lot of what small amounts of practice time I’ve got. I can’t cone close to all that hot Fiddlin our regular fiddler does— playing any song in any key, etc., but they are adapting to what I can do as a self-taught, 5 1/2 year fiddler. Anyway, I really wanna learn this stuff if I can ever get to it! I need to spend time on the easier stuff on here too…there’s so much to learn! This hard stuff draws me in! I have always wanted to tear through Black Mt.Rag. I can freak people out with Maiden’s Prayer by now, but I keep my Gardenia Waltz in the closet…lol..afraid it’ll hurt somebody’s ears! One day, though…it’s comin out too! On your mark, get set… ready to start…may the force be with me! 🙂 Hope it is going well, Cricket. Can’t be as hard as lifting a spaceship with your mind! Well I’m gonna have to try both before I can objectively compare! 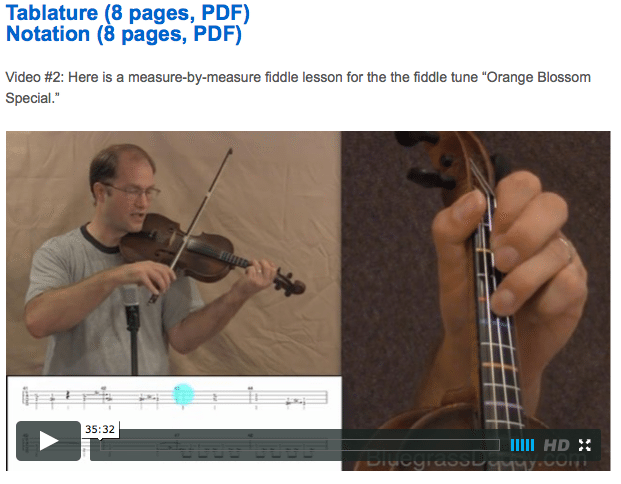 Wow, John, this is the first measure-by-measure video that I’ve watched here (I’m a newbie subscriber). It’s beautiful because it has such detail — I can see you, see the marks on your bow, hear your words, see a close up of your fingers, watch the bouncing blue ball, hear the notes, and track the beat and notes along on the PDF sheet music you’ve provided. 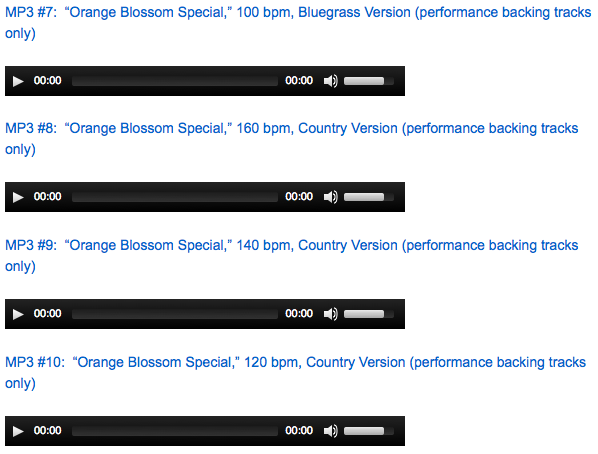 For an advanced song like OBS, that measure-by-measure video teaching method is worth its weight in gold. Easily the best one on the net. (Now for the scary part — I thought I read somewhere on these forums that you’re going to stop measure-by-measure, and switch to call-and-response instead. I can see c-and-r for simple songs, but not for material like this (slides, pings, verbal tips that don’t show on the PDF, etc). Measure-by-measure is the clear winner for this level of play, I think. And that’s because a lot of the magic in such playing is in the ornaments, slides, hammer-ons, and tricks, rather than just in the skeleton notes of the songs. So I hope you keep doing measure-by-measure for the tricky stuff. Thanks Kevin! I am really going back and forth on that idea. I am posting Sweet Georgia Brown (probably this evening) as more of a call and response, and I really don’t know if that is the best way to address the song. I would really like to my subscribers to let me know what they think on the issue. If the new method is not working as well, I will go back to the measure-by-measure on the intermediate songs. Cant wait for this lesson. Wonder how long it will take me to get it up to speed? Jerusalem Ridge took me 5 months :O ) So worth it by the way. There is no time, there is only songs played . Thanks! I am really looking forward to hearing you play this in the Lion’s Den, Gu. Cricket, you have to learn this one! I’m sure! Some people ooze talent. He squirts it!